BEWARE...... If your slab has a poly vapor barrier this installation shown may be a KILLER. NOT a National Electrical Code Ground. 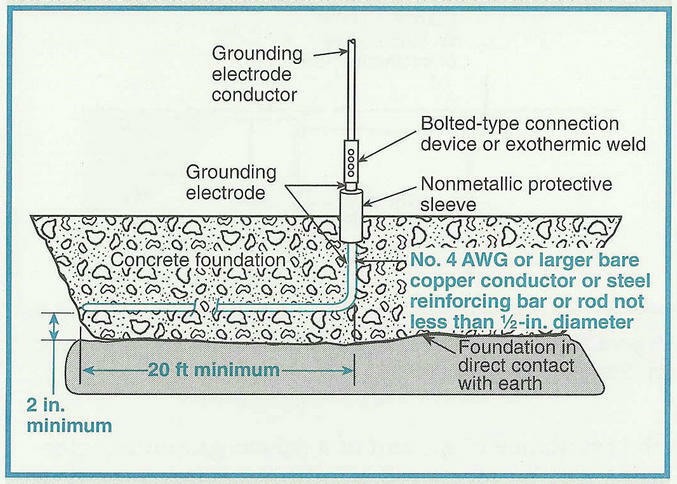 State to require Electrical Contractors to install this improper grounding method. more will come over time.